Our mentors are friendly, experienced CFML developers who will help teach you new techniques and tricks. Join the many students who have enjoyed learning and improving their skills by taking this track. // helloWorld greets the world. 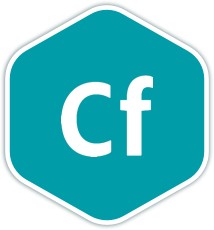 CFML also has a built-in tag-based templating language that makes it ideal for web apps. It runs in a J2EE container with many bundled libraries that make it very productive without the need to install many packages. CFML has native support for zip files, PDF and Excel generation, E-mails, FTP, HTTP, S3 file systems, ESAPI security libraries, JDBC drivers, JSON and REST APIs. Once you join the CFML language track, you will receive support and feedback from our team of mentors. Here are the bios of a few of the mentors of this track. These are a few of the 28 exercises on the CFML track. You can see all the exercises here. The CFML Maintainers are the brains behind the CFML Track. They spend their spare time creating interesting and challenging exercises that we can all learn from. We are incredibly grateful for their hard work. Here are the bios of a few of the maintainers of this track. Get started with the CFML track. As with everything on Exercism, it's 100% free!